Definitely a comforter only for winter. Very warm and very light. Arguably the finest down collection available, this 295 thread count cotton batiste tick is the lightest gram weight per square inch of down proof ticking available in the world. The ultimate goal of a down product is to have as much loft as possible while weighing as little as possible and the Cambridge Collection does just that. "How s this constructed, box or true baffle? Also is it hypoallergenic and does it have a warrantee ?" 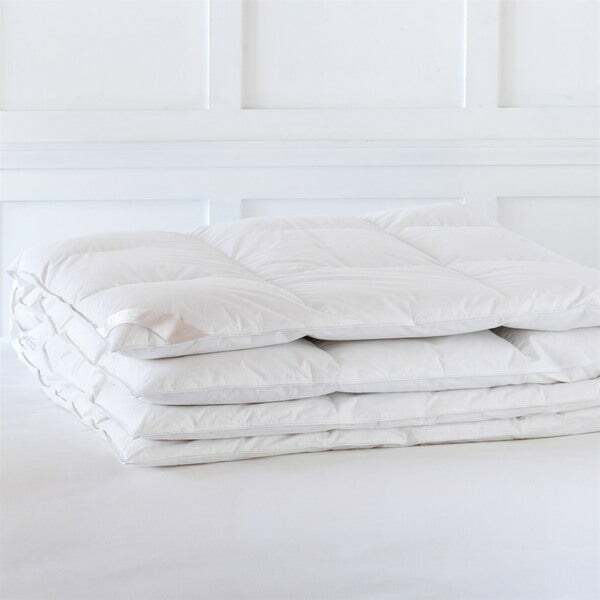 The comforter has a true baffle box construction, is hypoallergenic and does not include a warranty.